37. Ring-Expansion Approaches for the Total Synthesis of Salimabromide. 36. Total Synthesis of Salimabromide, a Tetracyclic Polyketide from a Marine Myxobacterium. 35. A Negishi cross-coupling reaction enables the total synthesis of (+)-stachyflin. 34. 9-Membered Carbocycles: Strategies and Tactics for their Synthesis. 33. De Novo Synthesis of Benzannelated Heterocycles. 32. A Modular Synthesis of Tetracyclic Meroterpenoid Antibiotics. 31. Development of a β-C–H Bromination Approach Towards the Synthesis of Jerantinine E.
30. 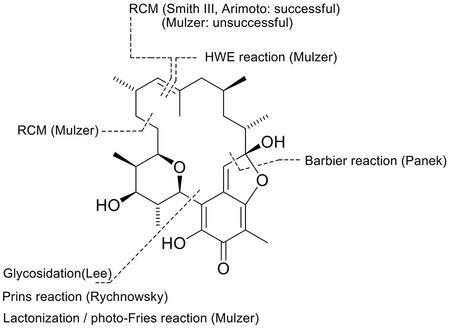 Dyotropic Rearrangements in Natural Product Synthesis and Biosynthesis. 29. Bioinspired Total Syntheses of Terpenoids. 28. 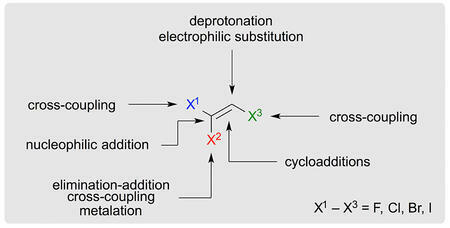 Evolution of a Polyene Cyclization Cascade for the Total Synthesis of (–)-Cyclosmenospongine. 27. Convergent Assembly of the Tetracyclic Meroterpenoid (–)-Cyclosmenospongine via a Non-Biomimetic Polyene Cyclization. This work was highlighted in SYNFACTS: E. M. Carreira, P. Sondermann, Synfacts 2017, 13, 5. 26. A Divergent Approach to the Marine Diterpenoids (+)-Dictyoxetane and (+)-Dolabellane V.
25. Rapid Access to Orthogonally Functionalized Naphthalenes: Application to the Total Synthesis of the Anticancer Agent Chartarin. 24. A Bioinspired Cyclization Sequence Enables the Asymmetric Total Synthesis of Dictyoxetane. This work was highlighted in SYNFACTS: E. M. Carreira, H. Wolleb, Synfacts 2016, 12, 771. 23. Gold(I)-Catalyzed Enyne Cyclizations: Studies Towards the Total Synthesis of (+)-Aureol. 22. Trihaloethenes as Versatile Building Blocks for Organic Synthesis. 21. Synthesis of Xenia diterpenoids and related metabolites isolated from marine organisms. 20. Ring Opening of Bicyclic[3.1.0]hexan-2-ones: A Versatile Synthetic Platform for the Construction of Substituted Benzoates. 19. The 50th EUCHEM Conference on Stereochemistry (Bürgenstock Conference 2015). 18. Sequential O–H/C–H Bond Insertion of Phenols initiated by the Gold(I)-Catalyzed Cyclization of 1-Bromo-1,5-Enynes. 17. Total Synthesis of the Leucosceptroid Family of Natural Products. 16. Experimental Studies on the Selective beta-C-H Halogenation of Enones. 15. Chemical Synthesis of Antifeedant Leucosceptroids. 14. Carbon-Fluorine Bond Activation for the Synthesis of Functionalized Molecules. 13. Strategies for the Synthesis of Antifeedant Leucosceptroid Natural Products. 12. Unraveling the Metabolic Pathway in Leucosceptrum canum by Isolation of New Defensive Leucosceptroid Degradation Products and Biomimetic Model Synthesis. 11. A General Entry to Antifeedant Sesterterpenoids: Total Synthesis of (+)-Norleucosceptroid A, (–)-Norleucosceptroid B, and (–)-Leucosceptroid K.
This work was selected as SYNFACT of the month: E. M. Carreira, M. Westphal, Synfacts 2014, 10, 1233. 10. Crystalline guanine adducts of natural and synthetic trioxacarcins suggest a common biological mechanism and reveal a basis for the instability of trioxacarcin. 9. A transition metal-free synthesis of fluorinated naphthols. This work was highlighted in SYNFACTS: P. Knochel, D. Haas, Synfacts 2014, 10, 853. 8. High-Pressure Transformations in Natural Product Synthesis. 7. 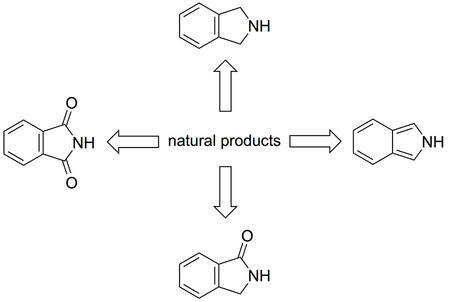 The Chemistry of Isoindole Natural Products. 6. Component-Based Syntheses of Trioxacarcin A, DC-45-A1, and Structural Analogs. 5. Short and Efficient Synthetic Route to Methyl α-Trioxacarcinoside B and Anomerically Activated Derivatives. 4. In Pursuit of a Competitive Target: the Total Synthesis of the Antibiotic Kendomycin. 3. Ring Closing Metathesis and Photo–Fries Reaction for the Construction of the Ansamycin Antibiotic Kendomycin. Development of a Protecting Group Free Oxidative Endgame. 2. Total Synthesis of (+)–Echinopine A and B: Determination of Absolute Stereochemistry. 1. Total Synthesis of the Antibiotic Kendomycin by Macrocyclization via Photo–Fries Rearrangement and Ring Closing Metathesis. Trioxacarcins and Uses Thereof, Andrew G. Myers, Nicholas E. Hill, Jakub Svenda, Robert T. Yu, Daniel J. Smaltz, and Thomas Magauer, International PCT Patent Application No. PCT/US2011/029343, filed March 22, 2011.